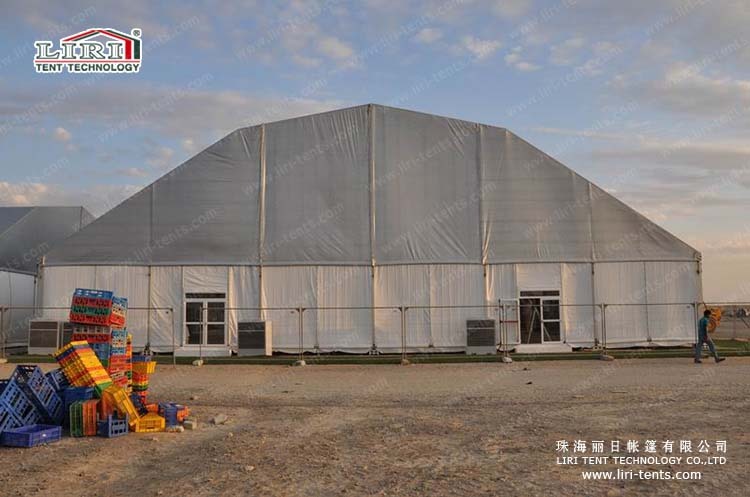 The 30m clear span polygon tent for sports from Liri Tent has no poles inside. 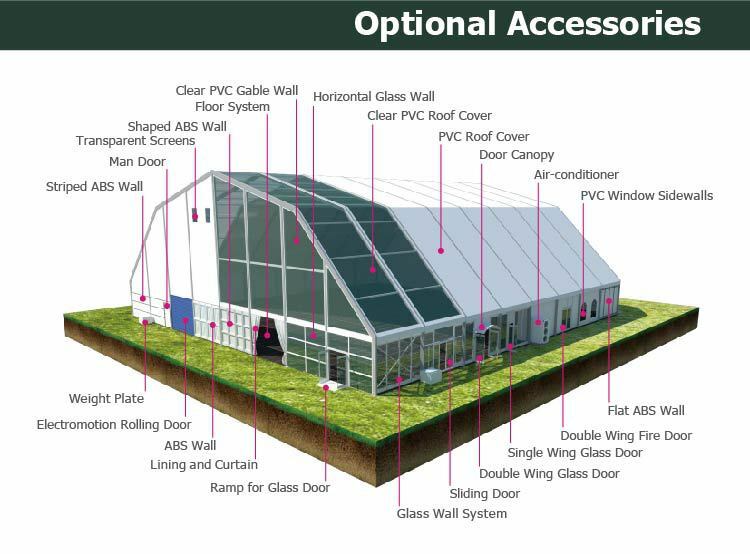 It is more spacious than other pole tent, frame tent, or steel tent designs. This structure helps you make a place ideal for high class events especially for limited place. 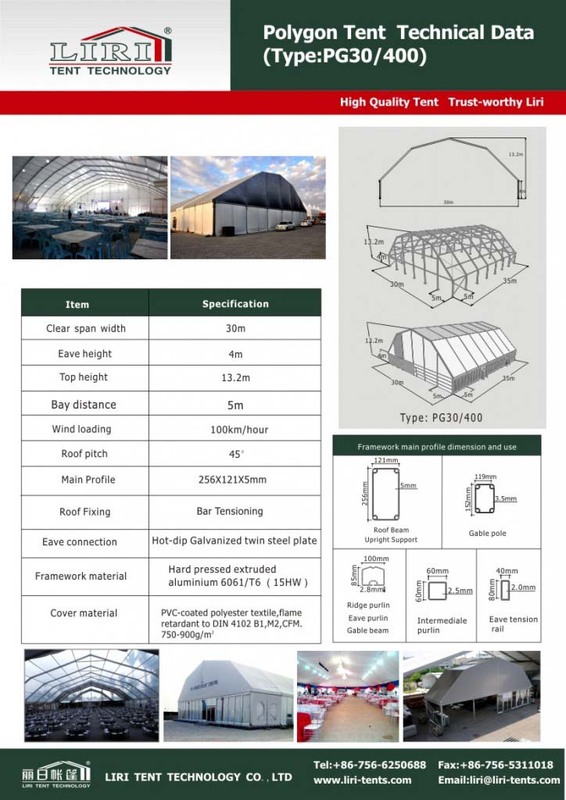 The 30m clear span polygon tent with plain grey PVC roof cover for sports is of modular structure design; the length can be increased and decreased by 5m bay distance. And the warranty: 10 years for aluminum frame and 3 years for PVC fabric. But the life span of aluminum can be 20 years, the PVC can be 8-10 years. Here is the technical data for your reference, and just as we mentioned above, our tents are modular structure design. So we can enlarge and diminish the tents based on your requirements.